I adore Jane Green’s books. Truly. I like her style of writing, I like how she always writes about life and they are always readable. But I have to say, that this was not my favorite of hers. Maybe its because I can’t really relate to the issues in this book, maybe its because I get seriously irritated with characters who moan and complain, maybe because I couldn’t relate to the ‘teenage’ character who was just so angry. (Give me a few years and I may have to change my statement there…)It was an interesting read, from a vantage point of not relating to the issue, and it did have a happy ending which showed maturing of the teenage character and strength from the father which you don’t see a whole lot of till the end of the book. What I did relate to , was how one changes as one grows older and the wisdom to make the right decisions, how ones perceptions of a situation is always different to someone else in the same situation and that in order for a relationship to survive there needs to be communication. All in all a good and interesting read. 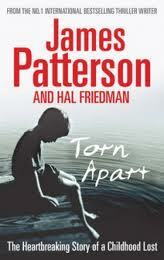 I thoroughly enjoyed this book! A memoir about Franz who was jilted almost at the altar (five days before hand) and how with the support from family and friends decided to go ahead with the wedding anyway. And then, goes on honeymoon with his brother, which turned into a two year travel the world honeymoon. It was awesome to read. If you enjoy travel books with a heart, this is definitely one to go for. I read it in two days, I didn’t want to put it down! 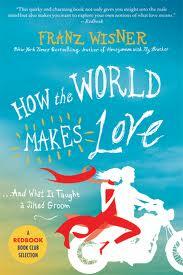 And I have just discovered his second book ‘How the world makes love’…When you’ve been jilted at the altar and forced to take your pre-paid honeymoon with your brother, it’s fair to say you could learn a thing or two about love. And that’s what Franz Wisner sets out to do—traveling the globe with a mission: to discover the planet’s most important love lessons and see if they can rescue him from the ruins of his own love life. Even after months on the road, he’s still not sure he’s found the secret. But a disastrous date with a Los Angeles actress and single mom keeps popping into Franz’s head. While researching ideal love, could he have missed a bigger truth: that something unplanned and implausible could actually make him happy? This was a heartbreaking but beautiful read. A true story about a little boy and his journey together with his family in trying to manage, understand, deal and live with Tourettes, OCD and anxiety disorder. One morning at the age of five he wakes up and his world changes. This is his story. Awesome to read, humbling and yet so full of hope. To read another review sent in go here. So, what have you been reading lately? I have one book left to read in my pile then its off to the library (And Exclusives…maybe…) so some recommendations will be welcome!! 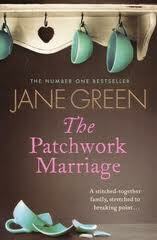 Ah, I loved Patchwork Marriage. I identified with so much in th ebook – divorce, moody teenager, younger child trying to keep the peace (could be like living in my home)! I do suppose it is where you’re at/have been. 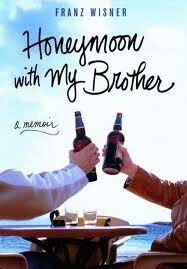 I like the sound of the Honeymoon with my brother, i’m going to see if i can find it.